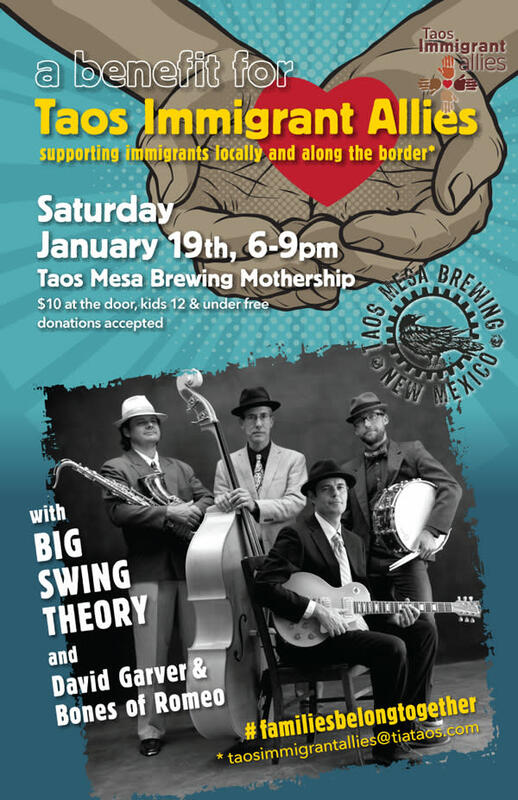 Supporting immigrants locally and along the border! Live Music by Big Swing Theory and David Garner and Bones of Romeo. Kid 12 and under free!